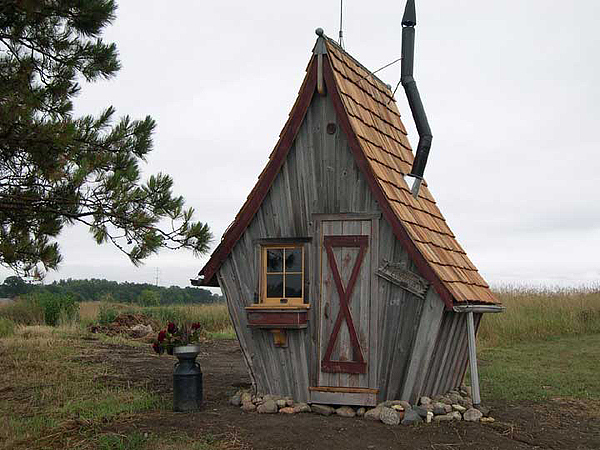 I was reading through some older posts on the Tiny House Blog and came across this picture of a Whimsical Tiny House. I like it. A lot. I’m not sure what it is that appeals to me about tiny houses in general. Simpler living? Less stress? That could be it. With a normal sized house there are always more rooms to clean, decorate, repair, fill with clutter and clean again. And with a bigger house comes a bigger price tag, higher payments, higher utility bills, etc. Regardless, I’ve been fascinated with small houses for a long time. A number of years ago my wife was longing for a quiet place to pursue her craft of writing. With a small child and the legal limit of cats and dogs in the house that was pretty much impossible. Our solution? We bought a pre-fabricated garden shed from Tuff Shed. We leveled up a spot near the house with drainage rock and had the shed delivered. I added insulation, wiring and drywall and we had an electrician connect it to the main breaker box on the house. Some carpet, paint and furnishings and we had her perfect hideaway. 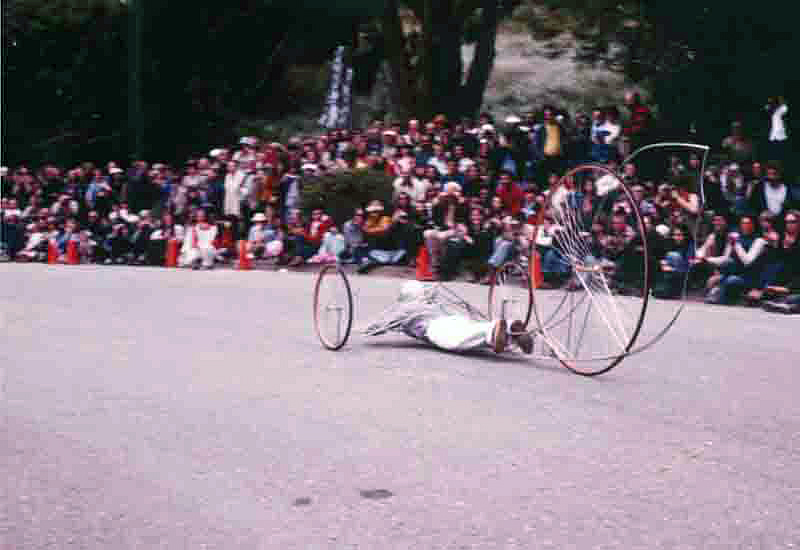 In an earlier post on the Artist’s Soapbox Derby that was held in San Francisco in 1975 I mentioned my buddy Ron Covell. 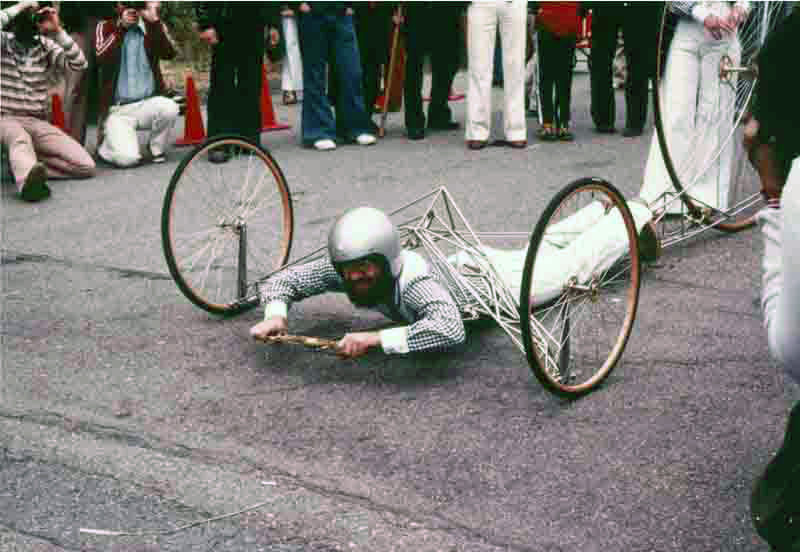 Ron helped Don Potts build his car for the first derby in 1975, and then in 1978 when they held the event a second time he built this car for himself. He still has it, suspended from the ceiling of his workshop. The pictures don’t really do it justice. 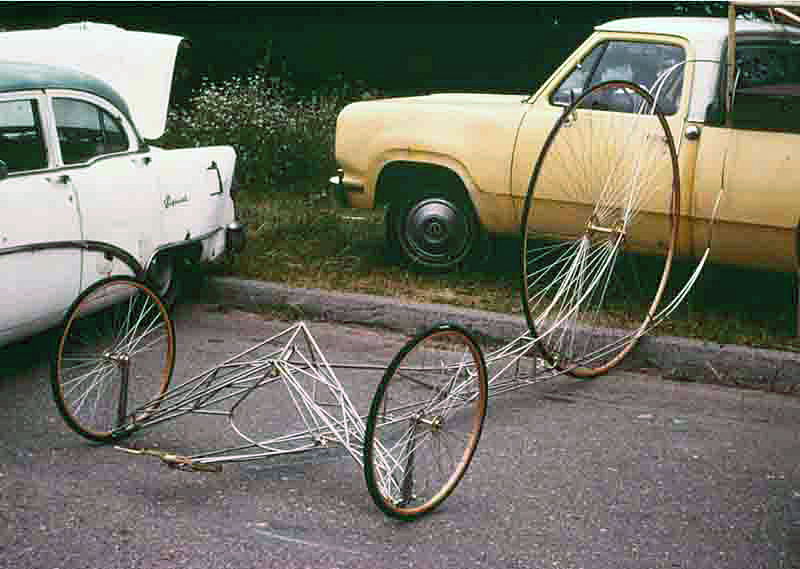 The framework is all stainless steel round bar, the steering is brass and wood. Ron build the giant rear wheel himself, laminating the rim from strips of wood and lacing it up to the hub. Ron’s a pretty amazing craftsman, he just produced a DVD on making a buck — a wooden framework that represents all of the shapes in a car body — for a Model T Roadster. I’m looking forward to putting my feet up with a bowl of popcorn and watching that one soon! Meanwhile I’m working my way up to painting trolls.